When new sales strategies are devised they may be largely developed in boardrooms and with market research that never actually incorporates the sales people who will eventually become the front line of the new strategy. This means that after a new sales strategy is agreed upon there will be many others, from individual salespeople to wholesalers and distributors who may need to be informed of the new strategy and the changes that will be required of them. A letter advising of a new sales strategy is a great way to start out the process of making changes. A letter informing others of a new sales strategy should first and foremost communicate the basics of the new sales strategy. This may mean explaining why a new sales strategy was necessary and what is expected of the new sales strategy. If there is something required of the letter recipients immediately then this should be made clear, but if the letter is simply notification that future changes will be made or events will occur then it should be made clear when the letter recipients can expect the next phases to occur. Often enclosures such as new sales literature or advice on where to find further information about the new sales strategy are also included with letters advising of new sales strategies. Letters sent to employees, wholesalers and distributors should always be formatted as formal business letters and letters advising of new sales strategies are no exception. Such letters should include the mailing address of both the writer and recipient as well as the date. Formal salutations and closing should be used, and the writer should include a signature as well as a typed version of their name. Letters advising of new sales strategies should be typed and printed on organisational letterhead and delivered either via interoffice mail or regular post. In some instances delivery via interoffice email to an organisation's employees may also be appropriate. It is with great pleasure that I write to advise you of the new [Campaign Name] strategy that [Organisation] will be rolling out next month. After several quarters of sagging sales, [Organisation] has decided to concentrate on reviving it's [Product Line] to meet the needs of our core demographic, [Demographic]. 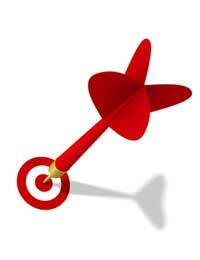 Market research has indicated that this target audience requires [Requirement 1], [Requirement 2] and [Requirement 3]. [Organisation] is set to deliver these and more with the introduction of several new products and our innovative [Campaign Name] to get the word out. In the coming days you will be receiving a great number of promotional products for [Campaign Name] and our office will be in contact to set up appointments for training to familiarise your staff with the new product line and sales strategy. At the moment, further information about these exciting new ventures can be found at our website, [Web Address]. Should you need to speak to someone about [Campaign Name], please don't hesitate to contact our new [Campaign Name] hotline at [Phone Number].